I posted recently about how “chain migration,” currently under attack by our President, was the norm in how our immigrant forebears assimilated into the United States, even those from places other than the countries he described as “s***holes.” I also shared, in a recent book review, how my grandfather came from Sweden in 1901 at the age of 19, escaping a farm that could not support himself and his brother. After arriving in far northern Michigan, John Emil Lindgren married a woman, Alma Israelson, who had been born in the U.S., but not long after her parents had immigrated (an “anchor baby”?) from far-northern Norway, a mining and fishing town called Kirkenes. Kirkenes is well above the Arctic Circle on an isolated fjord, not far from the Russian border. My siblings, our spouses and I had the once-in-a-lifetime opportunity to visit our cousin Eva, still living in the area, in 2015. 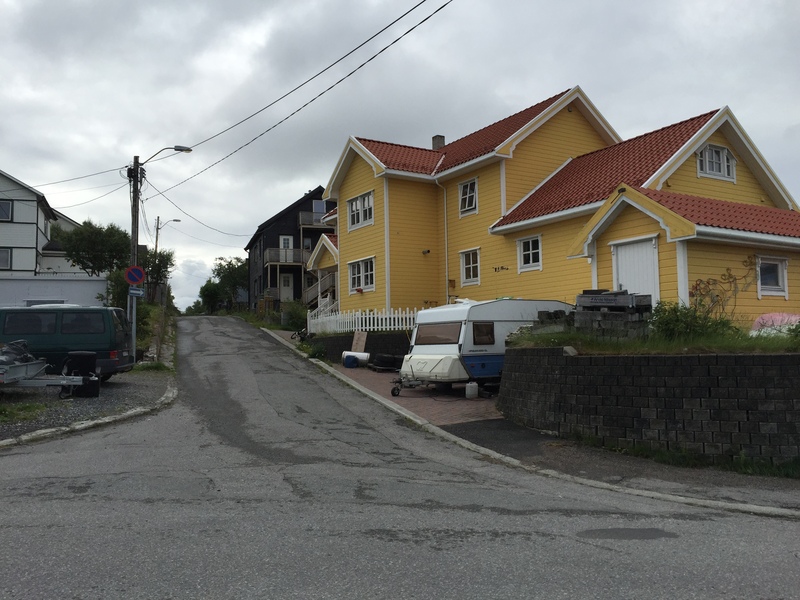 Even today, Kirkenes, with a population of about 3500 people, is not a stereotypically-scenic Norwegian town. It is greener than I had imagined it to be, being so far north, but it has a look of a town where the winters are very long and harsh, and where the prevalent industries today are mining and offshore maritime support. From late November to mid-January the sun does not peek above the horizon, with a similar period without sunsets in the summer. The entire town of Kirkenes had been burned to the ground by retreating Nazis at the end of World War II, so there are no old buildings, and even the new ones reminded us of the copper mining town of Hancock, Michigan, the Upper Peninsula destination that became their new American home, as it was to thousands of other immigrants in its mining heyday. The influence of those immigrants remains today in the local architecture and institutions, like Finlandia University. Our cousin Eva, a small child during World War II, hid from the Nazis with her family in the woods under very harsh winter conditions (and the 24 hours of darkness), and returned home when the Nazis left, only to find everything they had was destroyed. 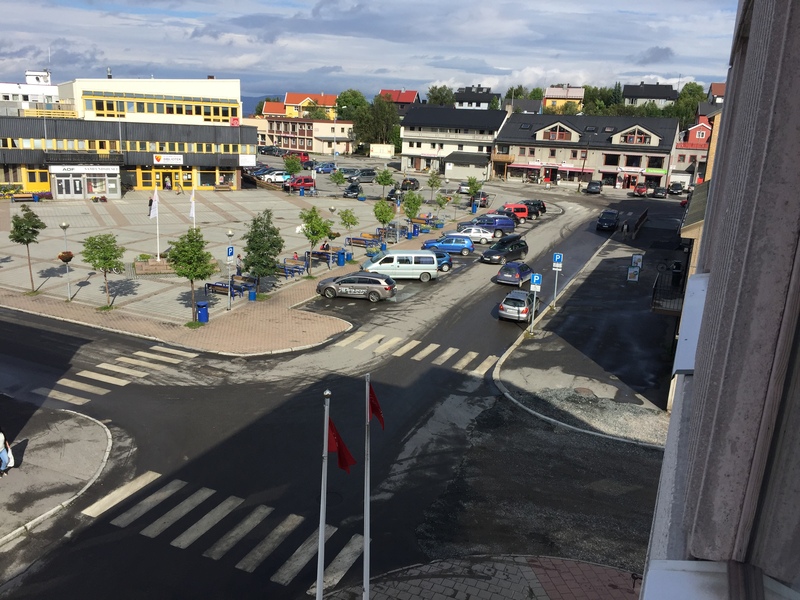 But they rebuilt the town, and she lived for many years in a pleasant home 40 kilometers south of Kirkenes, in a town called Svanvik, right on the Pasvik River separating Norway from Russia. When we told her “You can see Russia from your house!” she did not get the joke. 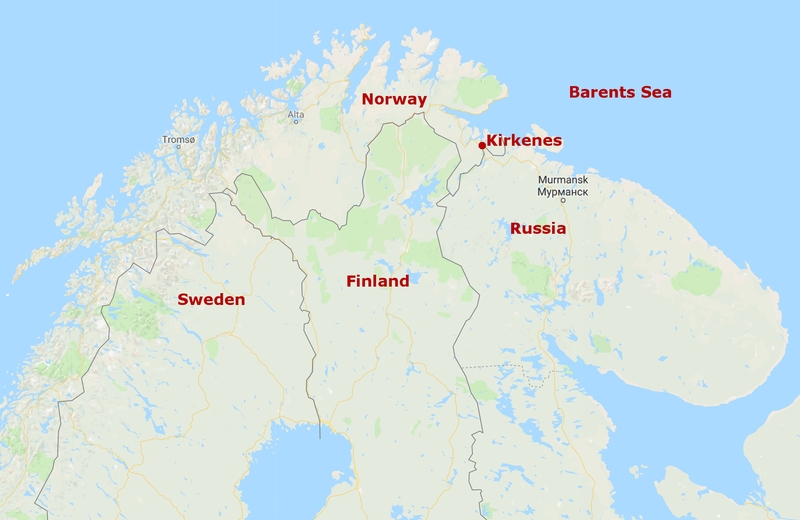 In the 1870s and 1880s, when a wave of poor, uneducated emigrants left Norway for America (almost one-third of the population over a longer period), let me suggest that Kirkenes would well have met the “s***hole” criteria. A dark, dirty, mining town far more isolated than it even is today, they arrived to find northern Michigan’s own dark, dirty mining towns, where the new arrivals got the worst, most dangerous jobs in the copper mines, earning less than one dollar per day in wages. And yet today, Kirkenes, and the whole region destroyed by the Nazis, has been rebuilt. The post-WWII country of Norway set forth a policy of commitment to its citizens, providing health care and education to everyone, and in a few decades established one of the highest standards of living in the world. They paid for it through a community/business shared-financing model (called, gasp, taxes) and by declaring its off-shore oil as a national resource, rather than selling off rights for peanuts to enrich a few oligarchs. Imagine that! But America can’t do this? Sadly, their new home in the Copper Country of northern Michigan is today in worse economic and physical shape than the remote region of Norway they had left. Amid the great beauty of the Lake Superior shoreline and its surrounding forests, the scars of environmental degradation from old mines remain 150 years later. Pollution from the “stamp sands,” the residue of the mined copper ore dumped in Houghton County’s Portage and Torch Lakes, continues to leech into the lakes 50 years after the last mine in the area closed. “Ghost towns” dot the region, and Hancock is a shadow of what it was even when I was a college student in nearby Houghton. 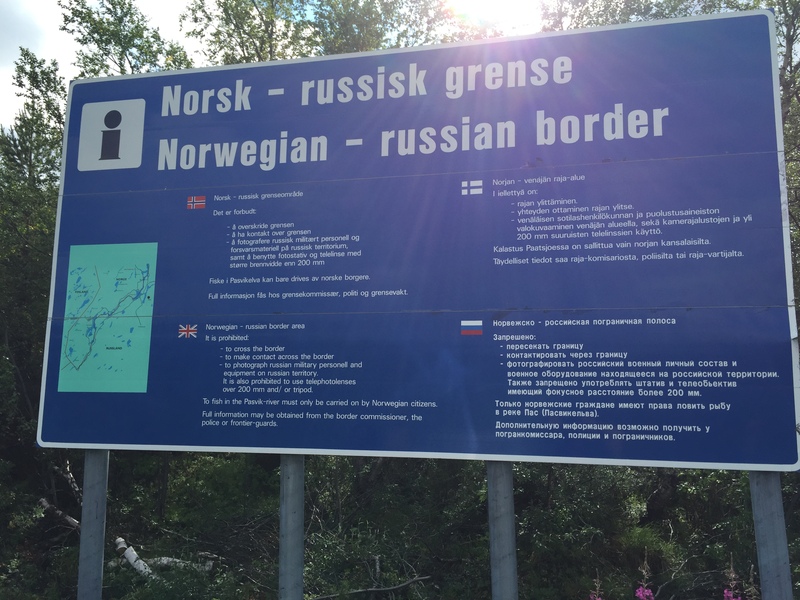 Back in northern Norway, cousin Eva and her children even hold special passports which allow them to travel freely back and forth across the adjacent Russian border to shop and commercially trade. A secure, and yet commercially open border without a wall. Imagine that! 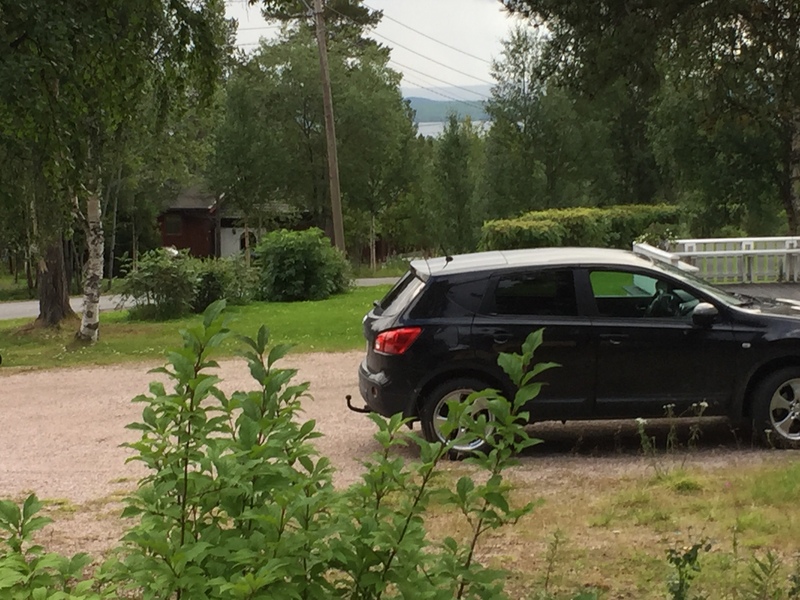 Eva’s driveway, with Russia just over the Pasvik River in the background. Pretty much anyplace in the world has had the potential to be labeled a Sh*thole over the course of history…. I respect the interest some people take on researching where they or their families originated from…. for myself. I’ve never cared where I came from… but where I’m going. I agree, Tony, that the label is just about universally applicable, which is evidence of a clear lack of historical perspective by those trying to set immigration policy, not to mention too many with overt bigotry. To say the least. I would love to have a deeper dialog with you re: origins and destinations.